If you’d like to receive a FREE printout of area home sales (without obligation), you can call our pre-recordered information line at 1-844-826-0651 and ID# 1075 for instructions about how to order. We hope you’ll find this information helpful as you progress towards your move. If we can be of assistance at any point along the way, please give us a call at (506) 862-8508. • 1856 sqft , 2 bath , 2 bdrm bungalow – FOR SALE CAD424,900 . Welcome to beautiful 1379 Shediac River Rd. Breathtaking waterfront property that you will immediately fall in love with! Buyer is selling 2 different parcels of land in this listing. PID 70099858 (PAN 2145327) is 4958 sq/mt. It is assessed at $138,500 (2017) taxes are $1189.57. 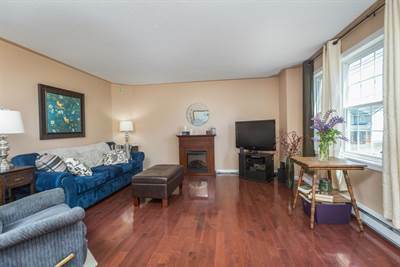 It has a beautiful bungalow with in-law suite or summer rental income potential on the lower level. This has its own walk-out and its own screened porch looking out at the river! It also has a brand-new Napoleon wood stove. The main floor has a large living room which includes a wood stove, kitchen with new cabinets and an island, a walk-in pantry, a bedroom and bathroom. Facing the river, you will find your dining room with a large seating area overlooking the river. Windows cover that back wall facing the river which give heating costs a low because of all the sunshine coming in. The adjoining property has an immense garage which includes two separate offices in it. This property is 3501 sq/mt. Property PID is 70099866 (PAN 2145848) and is assessed at $41,500 (2017) taxes: $691.47. If you are a business owner, this could be exactly what you are looking for! Both properties are waterfront with direct access to the water. Or, use this garage to store your boat, kayaks and canoes! You will be able to build a dock to enjoy all of your water toys to the fullest! Both properties together give you 2.09 Acres of waterfront land. For the investors: you can easily sell the piece of land with the garage for a major profit! Vendor is willing to sell properties separately. Inclusions such as furniture, appliances, tools, etc. are negotiable. We invite everyone to visit our open house at 112 Thomas on 22 Oct 2017 between 2:00 PM and 4 PM. We also have a new price on this immaculate 5 bedrooms home! • 896 sq. ft. , 1 bath , 3 bdrm manufactured home – FOR SALE $87,900. AFFORDABLE 3 BEDROOM HOME, FRESHLY PAINTED NOW AVAILABLE FOR IMMEDIATE OCCUPANCY! This lovely home sits on close to an acre of land. This is plenty of space for your kids to play, add a garage or allow your pet to roam, and it’s very private. The home features lovely eat-in kitchen, large living room and 3 good size bedrooms. The washer and dryer are located in the hallway in a closet. There is a patio in the back and a storage shed for your storage needs. Heating is baseboard electric. Flooring consists of hardwood, laminate and vinyl. Also included with the home are all of the appliances including the washer and dryer. Don’t hesitate, not many homes in this area for this price. Call today! LARGE, IMMACULATE 5 BEDROOM HOME WITH NICE PRIVATE YARD! • 2454 sq.ft., 2 bath , 5 bdrm single story “Split Entry” – FOR SALE $209,900. LARGE, IMMACULATE 5 BEDROOM HOME WITH NICE PRIVATE YARD! If space is what you are looking for, look no further! This beautifully renovated home has lots to offer. 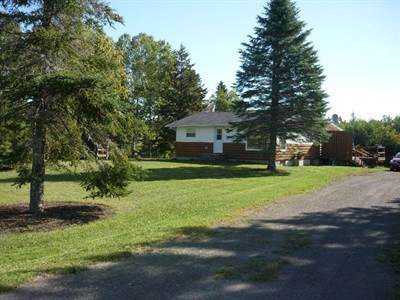 It is located on a beautiful corner lot in Central Dieppe, close to amenities, schools and numerous walking trails. There is lots of mature trees and good size backyard. The main floor offers large living room, dining area and beautiful, updated kitchen with all appliances to remain and plenty of cabinets for all your storage needs and plenty of counter space. The rest of the floor consists of a 4-piece bathroom, large master bedroom and 2 good size bathrooms. The lower level has a spacious family room, 2 other bedrooms, 3pc bathroom (renovated in 2015) and good size storage. The home is in great shape and offers beautiful hardwood floors throughout the main level and stair case. The lower level has laminate flooring. Heating is baseboard, electric. There is a nice deck off the dining room and a baby barn for all your outdoor storage needs. It is move it ready with nice neutral colors and simply waiting for you to bring your furniture! Your fresh start is right here, right now! Call today for your private tour! Posted on September 8, 2017 September 27, 2017 Categories Listing, Real Estate, ResidentialLeave a comment on LARGE, IMMACULATE 5 BEDROOM HOME WITH NICE PRIVATE YARD! AFFORDABLE 3 BEDROOM HOME, FRESHLY PAINTED NOW AVAILABLE FOR IMMEDIATE OCCUPANCY! 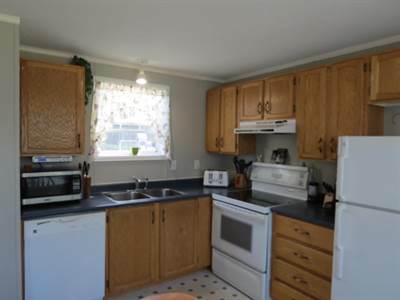 • 896 sqft , 1 bath , 3 bdrm manufactured home – FOR SALE $92,900 CAD. Posted on September 5, 2017 September 27, 2017 Categories Listing, Real Estate, ResidentialLeave a comment on AFFORDABLE 3 BEDROOM HOME, FRESHLY PAINTED NOW AVAILABLE FOR IMMEDIATE OCCUPANCY! • 2340 sqft , 2 bath , 3 bdrm 2 storey – FOR SALE 199900 CAD . NEW PRICE! MLS® M111375 in Moncton Center. 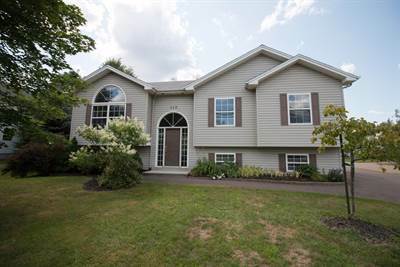 GORGEOUS CURB APPEAL AND FULLY FINISHED BASEMENT! This beautiful and elegant brick home is located near both hospitals and the downtown on a quiet street. The home has stunning curb appeal, lovely landscaping with stonework walkways and a lovely backyard. The main floor consists of a large living room with fireplace, dining room and eat-in kitchen and laundry room. The 2nd floor offers 2 large bedrooms and 1 regular size bedroom with 4pc bathroom. The basement was completed in 2011 and features a family room, 3pc bathroom, hobby room and wine cellar/cold room. Heating: baseboard electric. Flooring: hardwood, vinyl and laminate. There is also a large storage shed with an insulated back room for a motorcycle or any other motorized vehicle you would need to store during the winter. Many updates completed in recent years including: roof, windows, drain tiles, new electrical panel, added insulation in basement and more. This home has been really well cared for and is awaiting its new owners to add their own personal touches! There is so much potential with this home, you owe it to yourself to come have a look. Call today to schedule your private tour. Open House this Thursday between 6-8 pm at 30 Gagnon! Posted on July 17, 2017 July 17, 2017 Categories Listing, Real Estate, ResidentialLeave a comment on Open House this Thursday between 6-8 pm at 30 Gagnon! New price for this spacious and very little outside maintenance property! • 1380 sqft , 2 bath , 3 bdrm 2 storey “Semi” – FOR SALE 143900 CAD . AFFORDABLE, SPACIOUS AND VERY LITTLE OUTSIDE MAINTENANCE! You’ll enjoy the location of this property as it easy access to just about anywhere from here. 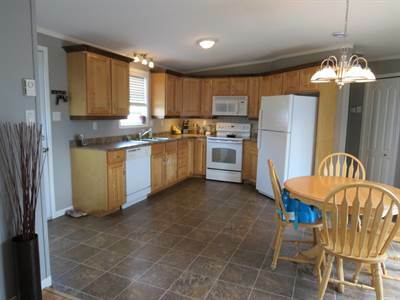 You are close to both Trans-Canada highways (2 and 15), close to Dieppe and downtown Moncton. This property is in great shape and has double paved driveway, not a huge yard, but ideal if you don’t want to spend too much time mowing your lawn. Directly from your backyard you can access the beautiful walking trail system that offers great views and many kilometers for you to get your exercise. The main floor of this home offers a spacious living room and large eat-in kitchen with plenty of room to add an island and it can accommodate a large table. There is also a half bath on this floor. Off the dining area is a patio with access to the backyard. The 2nd floor offers a very large master bedroom with walk-in closet and beautiful large window and sitting/reading area. There are 2 other good size bedrooms as well as a 4pc bathroom. The basement is unfinished and has plenty of room for storage and it also has rough-in for a 3rd bathroom. All flooring consists of hardwood and ceramic. Heating is baseboard electric with monthly equalized billing at $193 per month. You will not find a more affordable property in this area! Call today for your private tour! Posted on July 14, 2017 July 14, 2017 Categories Listing, Real Estate, ResidentialLeave a comment on New price for this spacious and very little outside maintenance property! Open House at 83 Tracadie in Domaine du Ruisseau. Posted on July 5, 2017 July 5, 2017 Categories Real Estate, ResidentialLeave a comment on Open House at 83 Tracadie in Domaine du Ruisseau.